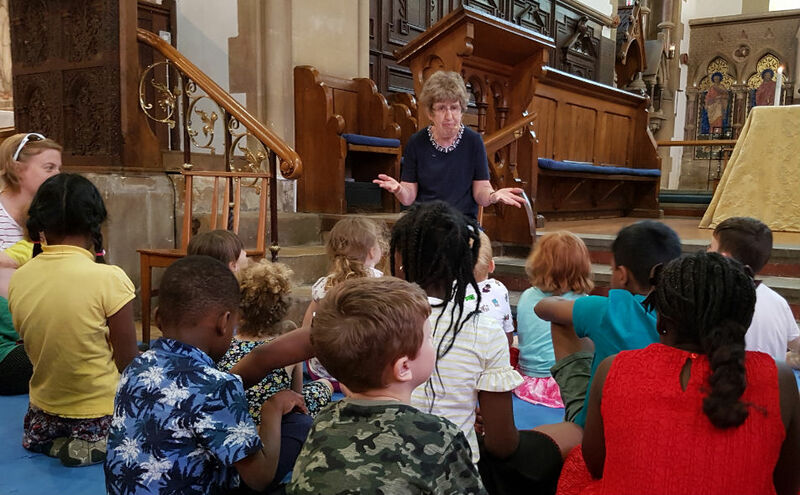 Junior Church meets during the 9:30am service every Sunday during term time. Please bring your children to the Parish Centre from 9:10am and don't forget to pick up a Registration Form. The children will be brought back to church in time for the Peace and will sit in the front three pews. For more information or directions, please contact the Parish Office or speak to a Welcomer at the church on a Sunday. If you could volunteer some of your time to become a junior church helper or leader, we would love to hear from you - please contact the Parish Office. Church4U meets in the church on the 1st and 3rd Sunday of the month at 3:30pm. This is a family friendly service and encourages families to come together through creative activities and worship. Through the use of Bible stories, drama, making things and prayers to encourage a worshipful experience of meeting our Lord Jesus Christ. The service always ends with fellowship and hospitality otherwise know as a 'yummy tea'!